Our Sugar Cube Castle! Homeschool Fun! 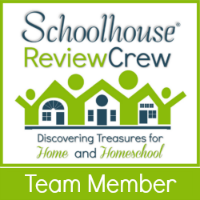 Sometimes it’s fun to take a peek into the fun projects other homeschooler’s put together so I thought we’d share one of ours. As a part of our Medieval Studies this year my children were tasked with building their very own Medieval Castle. In our Bridgeway Class they were instructed to build a castle in any way they wished. The sky was the limit. In our Homeschool in the Woods curriculum we were provided with directions for creating one out of sugar cubes. So that is just what Noah and Ezra did. It took them 3 days and 13 boxes of sugar cubes… plus two bags of confectioners sugar, some shredded coconut, of course food coloring, and some guidance from Mom and Dad. In the end my boys had created something to be proud of! Take a look! To see even more up close photos check out the slideshow below.